Legendary dancer and choreographer Merce Cunningham died July 26th at the age of 90. A definitive artist of the American avant-garde, Cunningham's work strongly influenced modern dance and his collaborations with artists of all disciplines redefined contemporary art. Although a meticulous choreographer, he pioneered the use of chance elements in dance. His interest in combining dance and technology made him one of the first choreographers to embrace LifeForms (later redeveloped as DanceForms), an interactive software program for creating and recording movement developed by Tom Calvert and Thecla Schiphorst at Simon Fraser University. 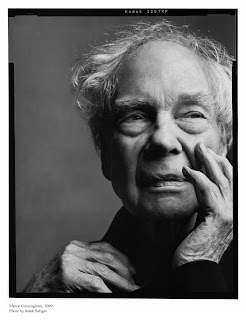 He had been choreographer and artistic director of Merce Cunningham Dance Company since 1953.